Leading Exporter of cake boxes, acrylic boxes, pastry boxes, cookie boxes, macaron packaging boxes and baking cups from Mumbai. 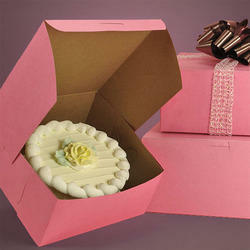 We are the manufacturer, supplier, distributor, wholesaler and exporter of Cake Boxes. The offered boxes are crafted using superior material and modular technology. These products are altered as per customer needs and thus highly customized. We are offering Acrylic Boxes to our clients. Offered boxes can be availed by our customers in different sizes and specifications as per the variegated demands of clients. Prior to dispatch at the customers' premises, these boxes are safely packed in high-grade packaging material to avoid any kind of damage to the consignment. We are offering Pastry Boxes to our clients. These boxes are widely applicable for packing cake and pastry in various bakers shops. Clients can avail the offered boxes from us in various sizes and designs as per their requisites. These products are altered as per customer needs and thus highly customized. Occasion Anniversary, Wedding, Birthday etc. We are offering Cookies Boxes to our clients. The offered boxes are designed using finest quality material and latest technology. These boxes are widely used in various food industries for packing biscuits, rusk, and other eatables for the longest time. We offer these boxes in various colors and designs in order to meet the requirement of our clients. We are offering Macaron Boxes to our clients. The offered boxes are precisely designed by the illustrator to make the die lines and the design of the boxes since it’s all vector. These boxes are available in various colors in order to meet the requirement of the number of clients. We offer these boxes in various customized options within the promised time frame. 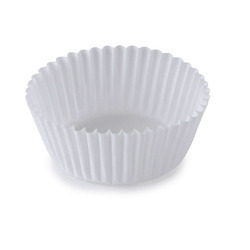 an accordion-sided paper or foil cup in which cupcakes and muffins are baked and then removed for individual servings; also called cupcake liner, cupcake cup. We got sports-themed baking cups for his party. Usage Note. cooking. We are offering Plumpy Mould to our clients. 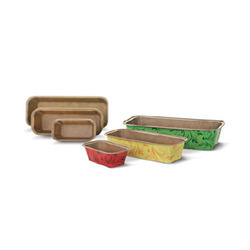 We are dealing with Baking Paper Mould that is obtainable in various patterns. These products are made using the top quality input and our products are good and top quality. We are offering Packaging Boxes to our clients. Used to pack different industrial products, these boxes are developed using qualitative cardboard and other basic material at our vendors' premises. Post-procurement, these boxes are checked by our quality controllers on different parameters. 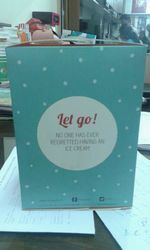 We are offering Ice Cream Packaging Box to our customers. The moisture-proof nature, weather proof nature and high strength of our Ice Cream Packaging Box satisfy the customers most. Also, we test this box at many levels to ensure its quality.